SO many believers are avoiding gluten! This might help you for potlucks! I see that she has a bunch of $2.99 recipe books; one features almond flour, another coconut flour, and a whole lot of slow cooker recipes. 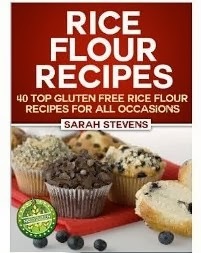 Publisher says: Are you looking for a versatile gluten-free flour that doesn’t need special treatment or added ingredients? Do you love baking and want to enjoy your food without worrying about your waistline?